I am distracted from writing about Miami. I just spent the amazing weekend in Chicago. An amazing Food Loving experience, so my attention has been drawn elsewhere. So even though I have a week’s worth of eating in Miami to write about, after this post, I’ll be moving to Chicago for the next few. Because Chicago was epic. 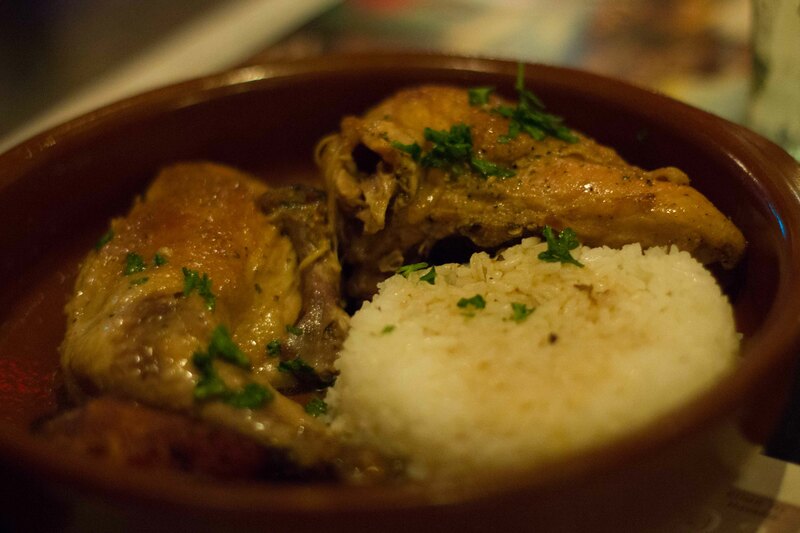 One of the things I was most excited about Miami for, was getting to discover Cuban food. Cuban is something that we don’t have in Vancouver and I wanted to get a good sampling of the cuisine while I was there. Arriving after a long drive, I finally rolled into South Beach. I liked my hotel well enough, but was put off quite quickly about how touristy it seemed. Maybe I was naïve about what I was coming to, but I don’t think I envisioned tacky tourist shops and their matching clientele. I tossed it up to being tired and hungry and thought that food would be the cure to brightening my spirits. 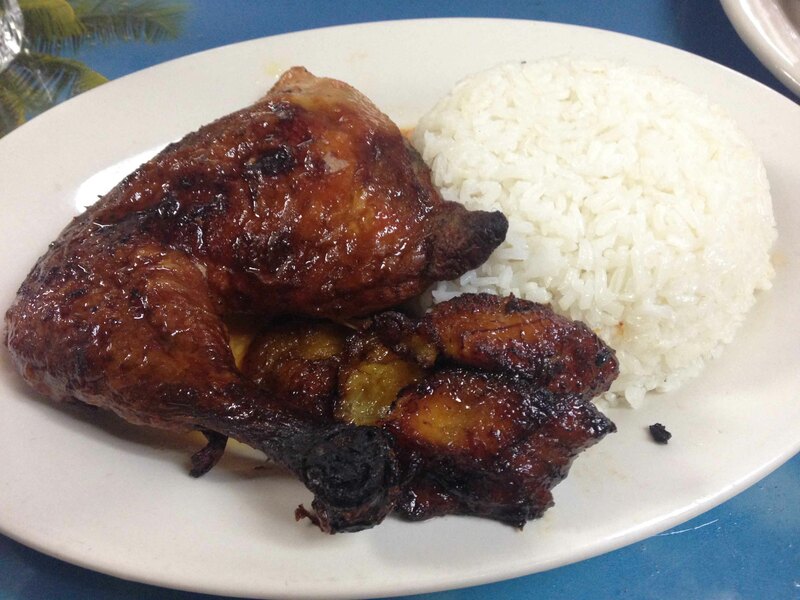 My idea for dinner was to head to Puerto Sagua, located a block from my hotel, for some Cuban food. Foolishly, I let the concierge at the hotel talk me in to changing my plan and went to Havana 1957 on his recommendation. While the food was good, the restaurant was “touristy”, which made me feel even more wary weary of being in South Beach. Normally I’d kill to sit outdoors in October for dinner, but I found the tourist trappings outdoors to be a bit depressing. 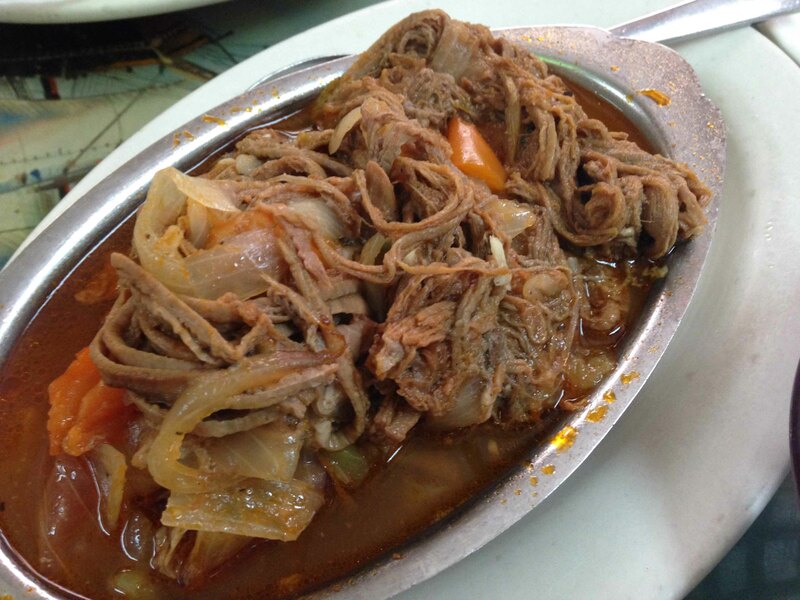 The Ropa Vieja, slow cooked shredded meat in a tomato-y sauce was delicious. I wanted a different chicken dish but was upsold to have the house special chicken which was good, but I was left to think if my actual choice would be better. Havana 1957 was good not great, but the meal definitely had me anticipating the other Cuban dining adventures I had planned for the week. 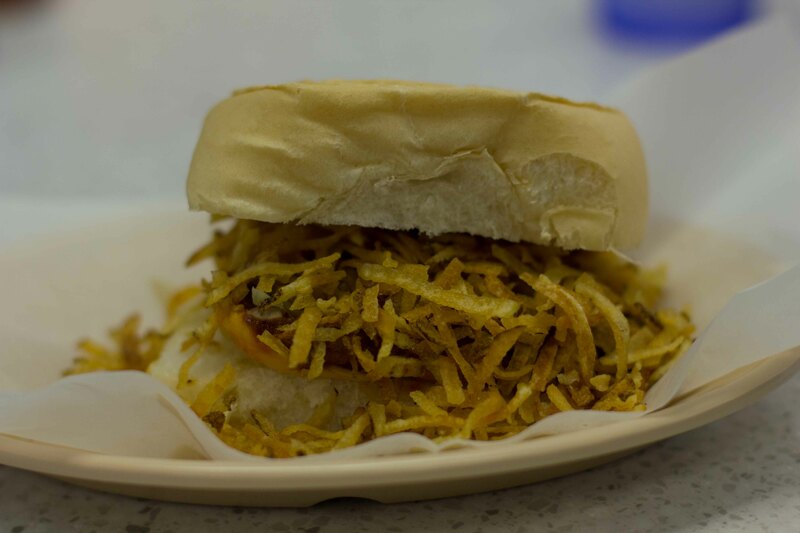 When I started researching Cuban food, I learned about Fritas Cubana, (the Cuban hamburger). 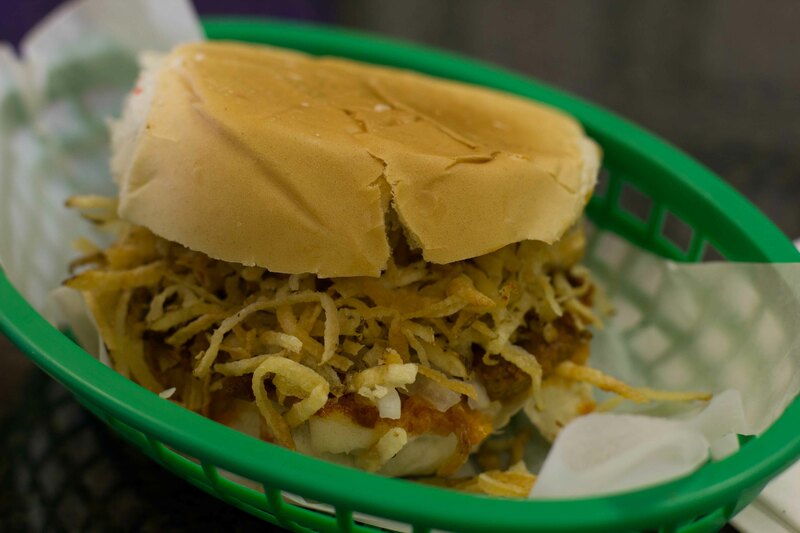 A frita is a hamburger made of a mix of ground beef and chorizo topped with raw onions and fried shoe string potatoes. Everything about this sounded amazing so it was first on my list of things to do in Miami. 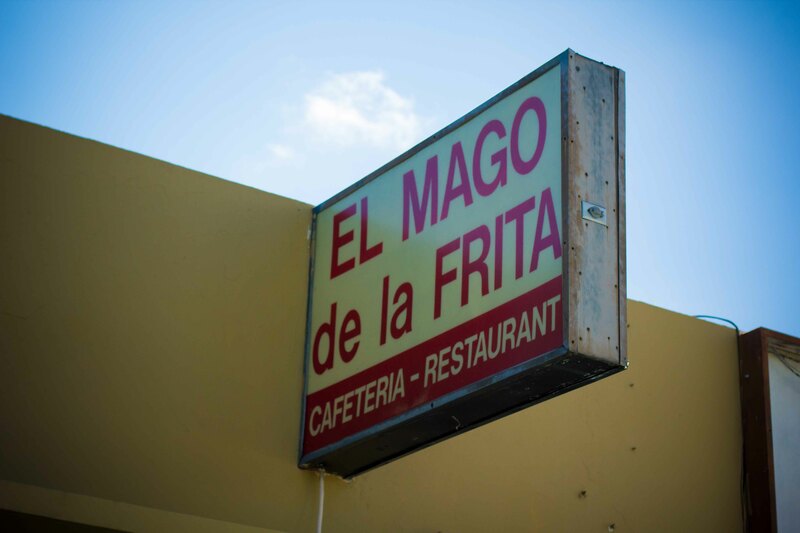 I wanted the best and my research came up with 2 options, El Rey de las Fritas and El Mago de las Fritas. Because I couldn’t decide, I made the drive out to Little Havana to try both! My first frita. Under all the shredded potatoes there is a delicious flavourful patty of meat. 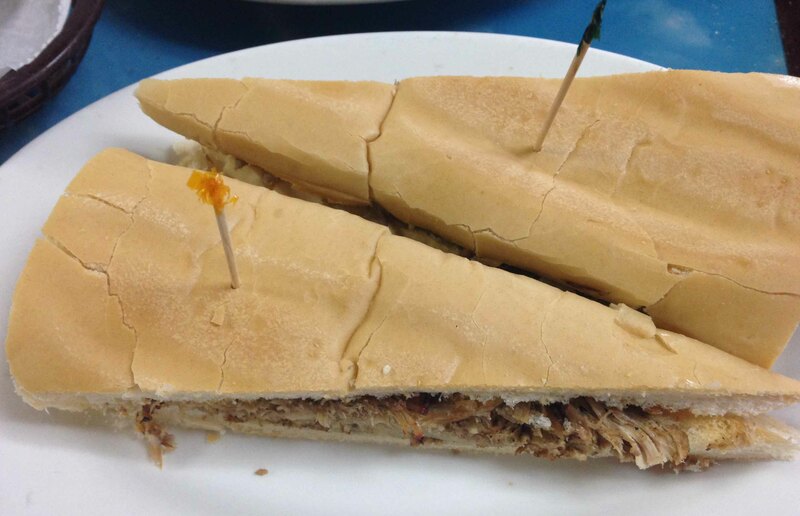 And because I wanted to try everything, I ordered the Pan con Lechon as well. I definitely felt like I had stepped into another country at El Rey. English was not anyone’s first language than mine but I fully appreciated that. The fluorescent diner was buzzing with activity and the food was served quickly. 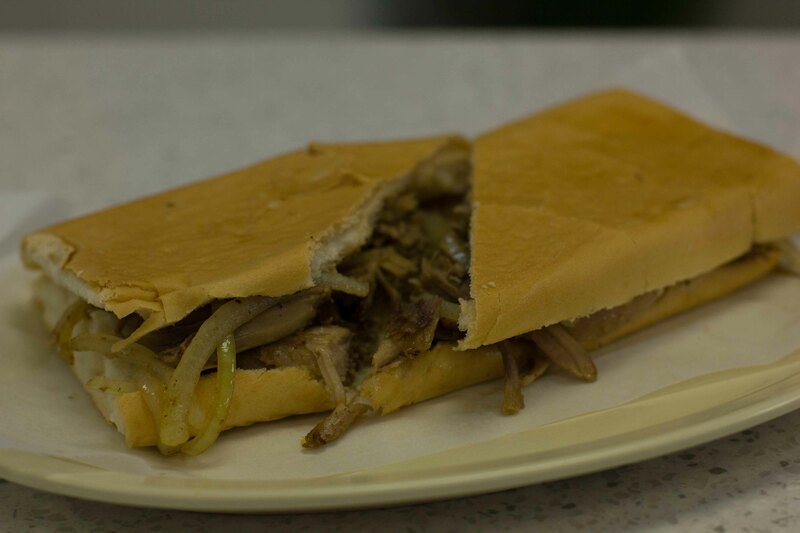 I loved every bite of the frita and wished I could get something like the Pan con Lechon at home. 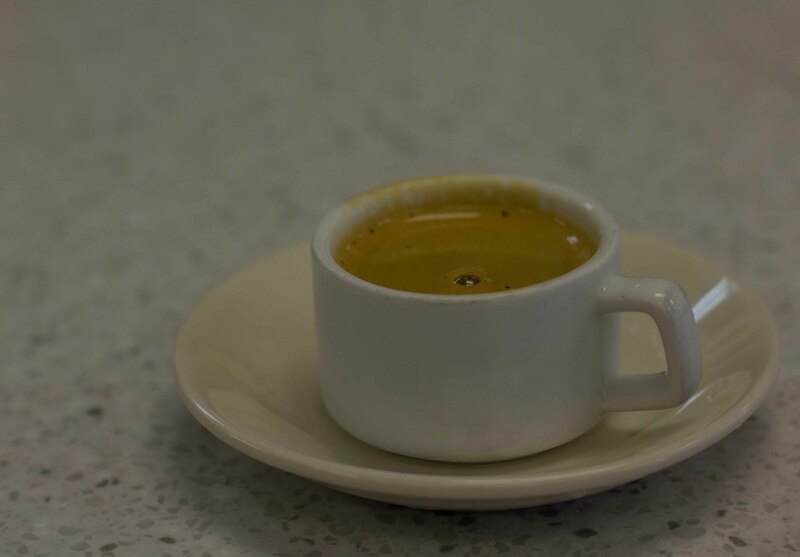 I was told about Cuban coffee by Cousin Brad, so I had to try it. Although a bit sweet for my liking, the caffeinated punch it delivered was greatly appreciated. 2nd frita was just as delicious as the first. Maybe even more delicious. 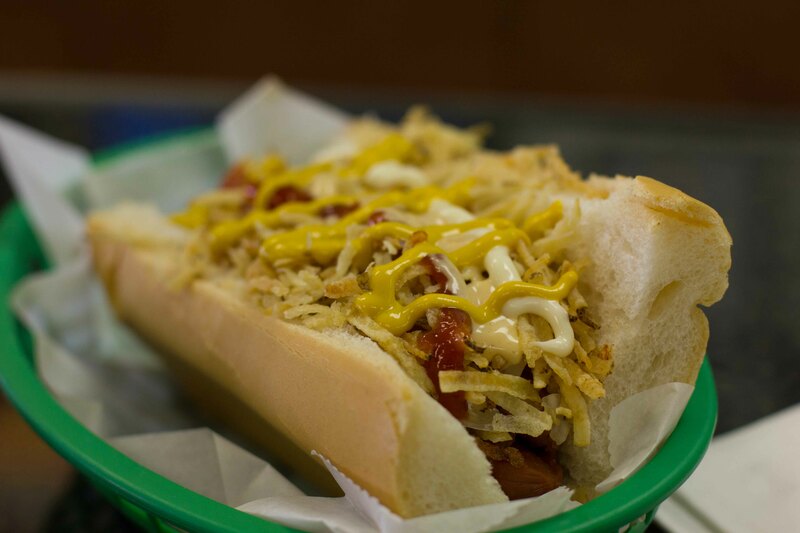 Cuban hot dog, because I had to. 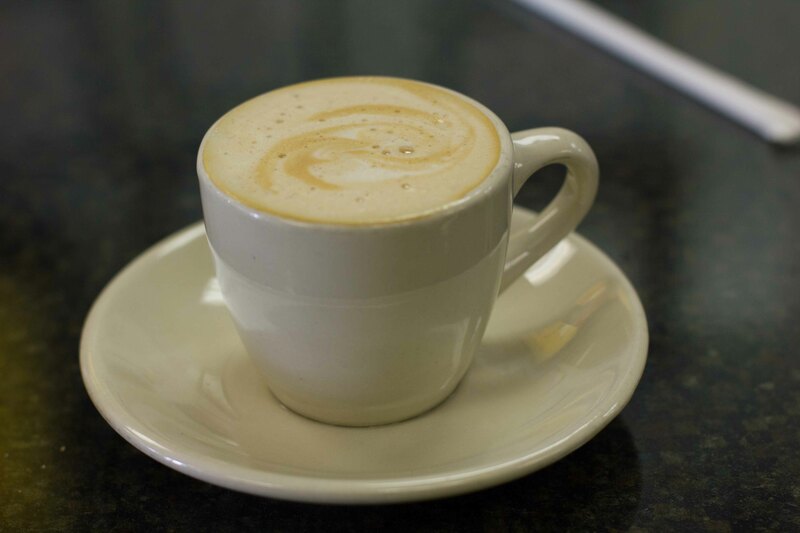 While my first Cuban coffee was very good, I enjoyed this cortadito more as it was less sugary and more truly coffee flavoured. The food at El Rey was great, but if asked, I’d recommend El Mago. 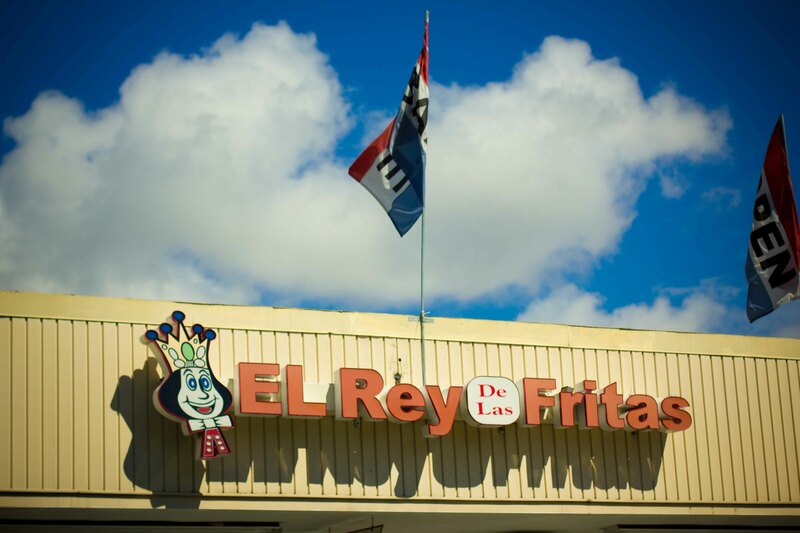 The family love and friendliness inside restaurant was felt from the moment I walked in the door.My fritas challenge was done, but I was not done with Cuban food. I couldn’t get the craving for Cuban food out of my mind so throughout the week, I ate a few times at Puerto Sagua, located in South Beach. 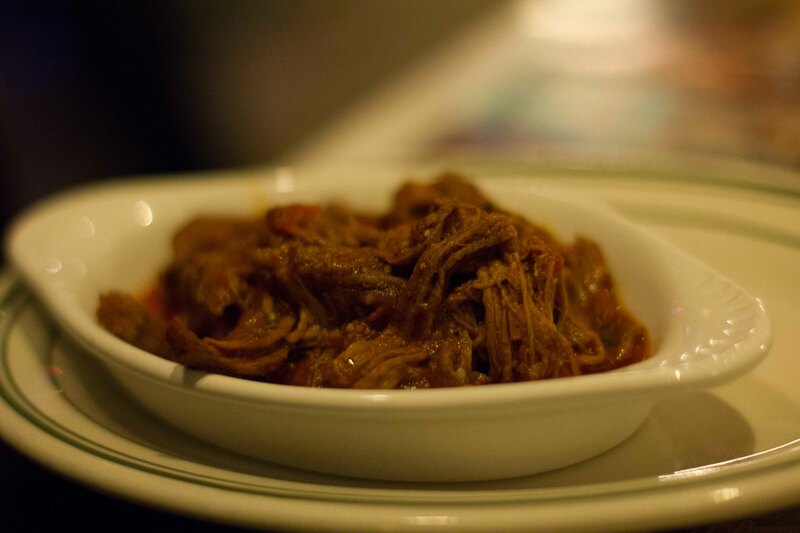 Ropa vieja looked less appetizing than Havana 1957, but had so much more flavour. 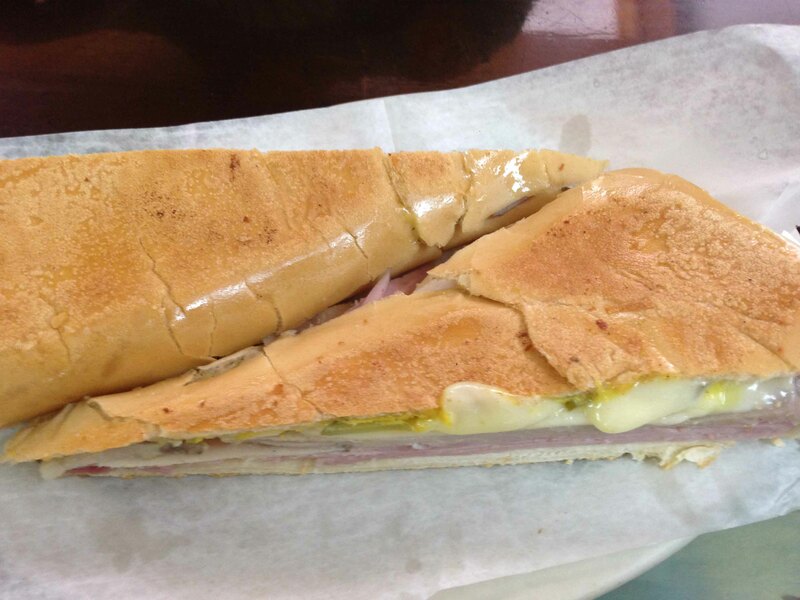 Medianoche – Cuban sandwich with ham, cheese and pickles. One of the best sandwiches I’ve had in a long time. 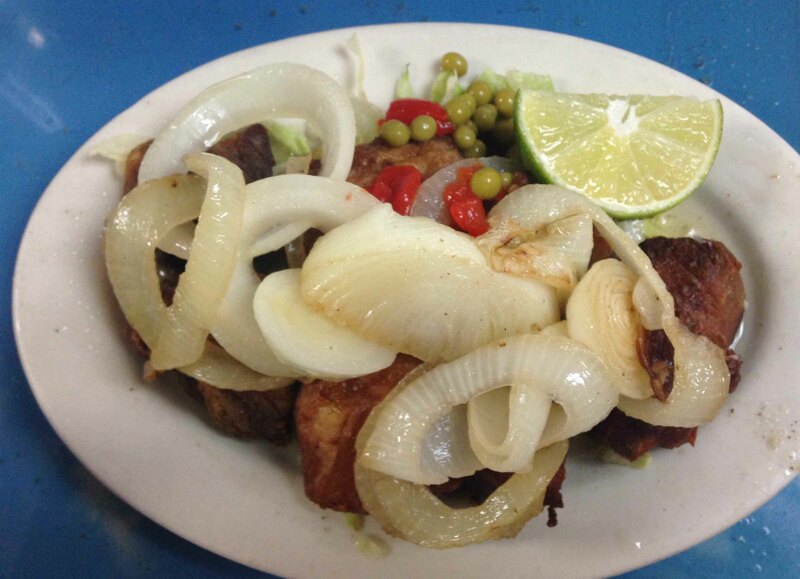 Masas de puerco frita – fried pork chunks didn’t look that appetizing but never judge a book by it’s cover. Was hoping the roast chicken would be like the delicious chicken at Versailles in LA, it wasn’t as good, but still solid. Lesson learned. I wanted another Medianoche, but thought I should try something else. But if you try something wonderful, and crave something wonderful, then maybe you should just order the wonderful rather than for an unknown. If I’d never had the Pan con Lechon at El Rey, I would have like this more, but in comparison I was left a bit disappointed. I had my Cuban fix in Miami and had some wonderful other meals including a trip to Little Haiti, and some great Southern Food. But as I mentioned in the start, I’m distracted with thoughts of Chicago. So the rest of my trip to Miami will be put on hold for a bit. Because my weekend of “All things Grant” was so good it needs to be shared.